Funeral planning is one of those tasks that no one enjoys. Not only is losing a loved one painful for all those involved, but wading through dozens of funeral planning decisions and settling the deceased’s financial affairs only add to the stress. In fact, many families find that planning the funeral is actually more stressful than the death itself, especially since there tends to be a time limit on how quickly you need to get everything accomplished. While nothing can alleviate the pain of your loss, you can reduce some of the grief associated with the funeral plans. Here’s how. Death rarely happens to just one person. When a loved one dies, it tends to bring families together across time and space. 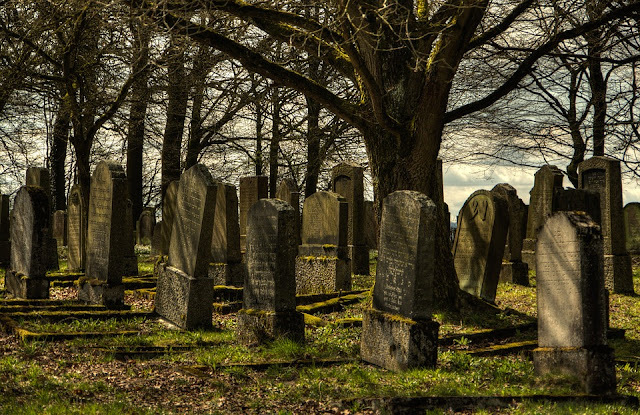 Long-lost relatives, loved ones you haven’t heard from in years, even an estranged sibling or two… Don’t be surprised if everyone has an opinion on what should happen during the funeral. It’s important to listen and talk with all those involved, but only up to a point. Decision-making can get really disorganized when there are half a dozen people trying to have their way. The next of kin and/or executor of the estate gets the final say in the funeral plans, and it’s best if that person takes the lead. It’s important to be kind, be generous, and be caring to those in mourning, but also to step up and make the tough decisions no one else wants to. The majority of funeral homes are solid businesses with a long history of service and your best interests at heart. However, they are still businesses. It’s up to you to know how much funeral you can afford and to avoid overspending during what is unquestionably a highly emotional time. That’s why it’s a good idea to know what your rights are as a consumer. The U.S. Federal Trade Commission is a great resource for this. They outline what you can expect during the funeral planning process, including your legal rights as a consumer and how to ask about lower-cost options, should you need them. It’s not the most glamorous advice in the world, but it is the most effective. Any kind of funeral planning that you can do in advance is going to greatly reduce the burden on your family after death occurs. Of course, what this means will vary by individual. For some, it means going all-in and planning the funeral from start to finish, including making all the payment arrangements ahead of time. For others, it might be about tackling the smaller and more manageable tasks (like finally getting that will in place or even just sitting down and letting your family know what you’d like done to your body after you pass). No matter how you approach this task, make sure you get your decisions down in writing and, if necessary, notarized by the proper legal authorities.